iRealHousewives | The 411 On American + International Real Housewives: Sources Say The Real Housewives Of Miami Is Not Returning To Bravo! Sources Say The Real Housewives Of Miami Is Not Returning To Bravo! 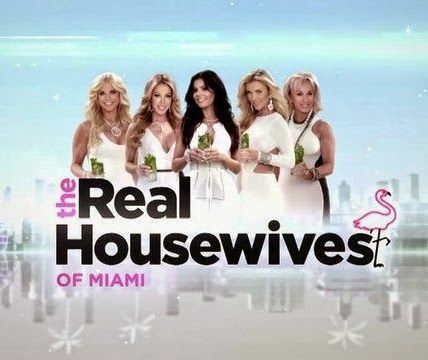 Despite some former cast members of The Real Housewives of Miami teasing that the show might return after Bravo aired a marathon of the third season last week, new sources reveal that the show will not return despite fans wanting the network to reboot the series. Dave Quinn from PEOPLE took to Instagram to reveal that his sources have informed him that the show is not returning. "Sources tell me no way!," he shared via Instagram Stories. That's not all. Lea Black, original cast member of the Bravo hit reality series also addressed the rumors about the show's future during a recent episode of her web-series/podcast, Lunch with Lea. Black spilled the tea while answering some fan questions on her popular web-series. "I said the fat lady sang," she said in minute 27:00. She then called out her former co-stars for teasing fans that the show might come back after the marathon aired on Bravo last week. "I'm saying what I've been saying five years ago - probably not coming back, and if it does come back good for them," she added. "I just cant keep feeding a fake story for five years, it's embarrassing."